We are an Award-Winning web design agency based near Farnham in Haslemere. We can help guide you through the process of getting your website designed or re-designed. We have web design packages for all budgets including a powerful website management tool so you can update and change your own content and images. We work with many different companies from start-ups to large national corporates. If you don’t know where to start or are confused by all the options, call us in Haslemere on 01428 788170 or complete the contact for below and we can guide you through the process of getting your business online. Do you need a responsive website? 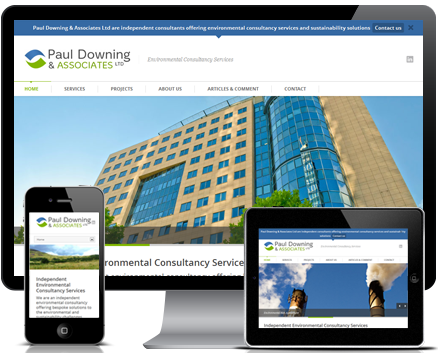 A responsive design ensures your website will always look good no matter what device is being used to view it – for example, change the browser size on this website and see what happens… You may already be looking at this website on an ipad or smartphone.